My new year's resolution is to be more expedient in capturing our travel adventures, so on this NYE, I'm going to finish out 2016 by recapping the long overdue last chapter of our epic summer trip to Mexico. 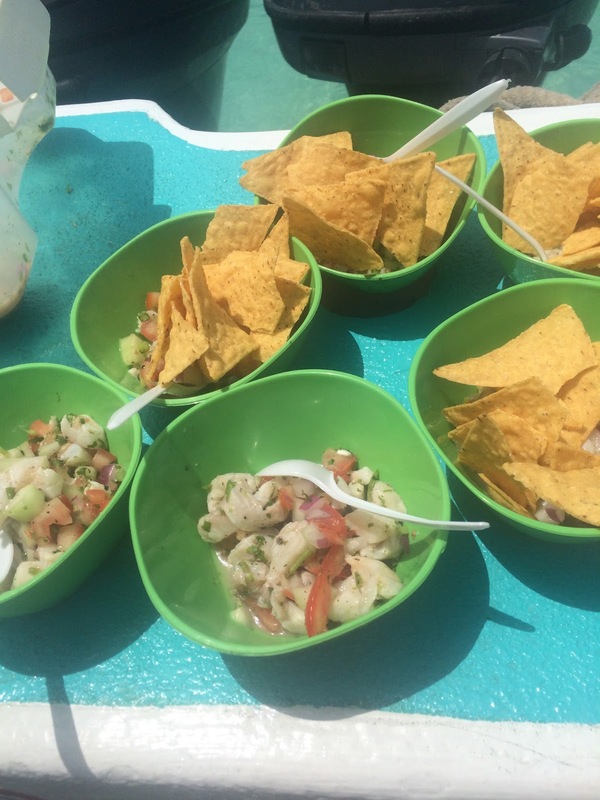 On our final day in Cancun, due to scuba safety guidelines, we were not able to dive (24 hours before flight) - but even on the surface there was a lot of marine life fun to be had, and the snorkeling tour we took turned out to be one of my favorite vacation memories ever! It was a super early pickup at the hotel, then to the marina for a 7:00am meet. At the dock, you can rent shortys and other equipment for an extra fee, or bring your own*. 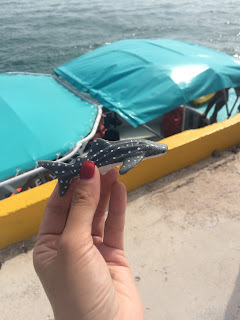 While waiting for everyone to figure out their gear, our guide went over rules of engagement with whale sharks using a clay figure, which I loved and found out he'd bought from an artist at the marina. Their booth was closed at the time, so he very kindly sold his to me for 50 pesos (and it's now one of my favorite travel souvenirs ever). So first, whale sharks. Since we were in prime season in the region (June-September), we were treated to many sightings up close, even before we got in the water, from the boat! Whale sharks are amazing, gorgeous creatures whose name can be a little confusing: they are not whales, and not a predatory type of shark that hunts and feeds on meaty fish like most other species that people are familiar with, but are a filter feeding type of shark that is really more a massive docile fish - the largest fish in the world, in fact at up to 40 feet or more - that likes to scoop up plankton at the surface of the ocean with giant flat mouths (and no sharp teeth that are visible to passersby). So despite their size, they are no threat to humans at all - but just very beautiful gentle giants! Of course we also got to jump in and swim alongside them. The process was exhilarating: with a very small but agile boat, and us chasing very large creatures who will definitely outswim us - in order to see them up close, our captain had to bring the boat perpendicular to the whale shark as it's swimming towards us. Swimmers sat literally on the edge of either side of the boat with all our gear on, ready to go. 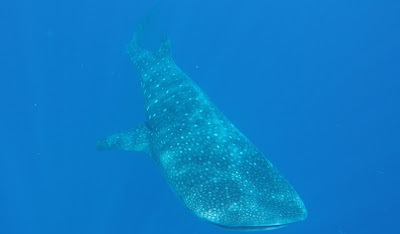 Once the whale shark was within reasonable distance - our guide would shout "go, now, go go go!" and we'd jump in immediately and swim in the opposite direction than the whale shark is going - jumping in near its gaping mouth, and swimming towards its tail, to give us the best chance of seeing the whole animal before it passes us by in stride. Our guide joked that it's ok, the whale sharks don't view us as food - the last time he had a tourist accidentally jump into a whale shark's mouth, it 'gummed' the tourist, thought 'yuck' and spat the human out. Hilarious. But in any case it was one breath taking, beautiful encounter after another. Tour guide jokes aside: the whole time, we had to be careful as our guide instructed to keep at a distance for the safety of the animal - we're strictly prohibited from touching them, as they have a gel-like substance that protects their skin, and human touch with all our microbes would damage that substance and expose them to infections - which none of us want! Fun fact: spot patterns on the whale shark are unique to each individual, like fingerprints to humans - and scientists can examine photos and videos to help catalog different individuals. Everything happened too fast for us to try to do anything other than try our best to keep up this time - but all the more reason to revisit / do whale shark swims elsewhere to learn more about these beauties. It was such an amazing experience and privilege to be able to swim next to these majestic, lovely gentle giants - it really inspires us to think more deeply about everything that we do in our daily lives that could put whale sharks, other creatures around them, and their home, at risk - and creates greater urgency for us to make changes. After the rigorous exercise of chasing massive, magnificent 30-40 foot whale sharks, we had all worked up an appetite, and our boat crew whipped up, right on the boat, the freshest, most delicious fish ceviche we'd ever tasted, for us to enjoy on deck or in the shallow water (and yes, made with local fish, NOT the giants we'd just been swimming with). It was a bit of a mad rush at 3pm back to the hotel to rendezvous with @jennybawel (who had completed her whale shark tour the day before), since our flights out were that evening - but international travel meant we had to meet our shuttle at 4pm. But we made it, and were glad to have been able to maximize the last day. ...and one last meal of guacamole and chips (guac made tableside! At the airport! ), steak fajitas and pina coladas at Air Margaritaville, before heading out. All in all, Cancun / Tulum was a bucketlist trip that fed our minds, bodies and souls with cultural / historical adventure from Chichen Itza to Mayan ruins, to fantastic food ranging from the deck of a small boat to the middle of a jungle to gorgeous Mayan themed setting in a fine dining restaurant, to water adventures above and below from cenotes to whale sharks. 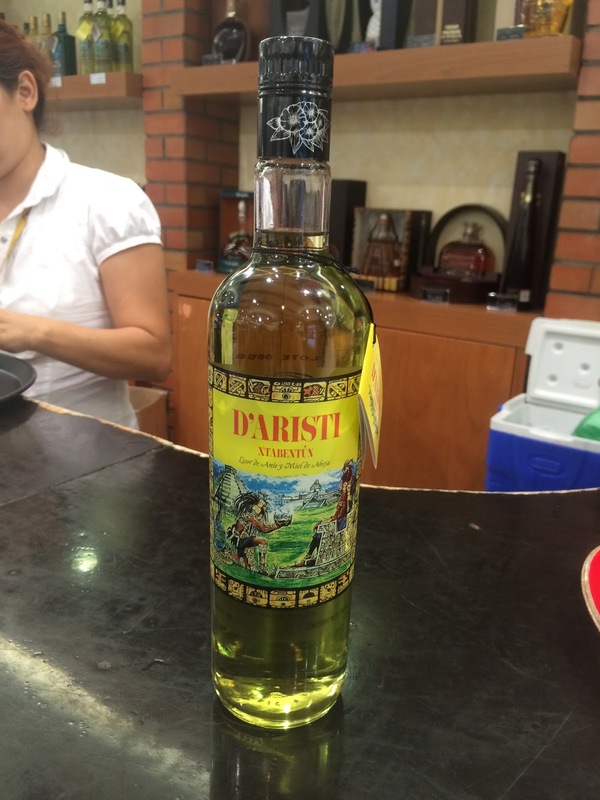 Definitely one of our most epic vacation destinations of all time. Can't wait to go back soon! *Tip for those who are not athletic and possibly only exercise once or twice a week like yours truly: definitely use a "shorty" (a short sleeved, knee length wetsuit), which helps you float so you can rest on the surface as needed between vigorous swims, and use a life jacket for the same reason. You won't need to dive down to see the whale sharks since they feed near the surface. Also, having the right fins made all the difference when trying to keep up with large marine animals. I love my split fins which were super energy efficient and helped propel me forward with a minimum of kicking. I bring these on all my trips as most dive shops don't have split fins for rent. These split fins are not great for cenote dives though, when you want to be slow and steady in staying in single file formation with your group - so if you dive cenotes in Tulum then you may want to use rental fins which are shorter and not split in the middle. Wow! Great whale sharks photos. Awesome blog.